Cee-C claims she is single outside the Big Brother Naija house and she wants Tobi to be the man of her life, but he has proved to be a thorn in her heart, the on and off couple has kept fans entertained. Cee-C was put up for eviction by her very close friend, Tobi, but she came out unaffected and in the pics up there, the two were sharing a moment together after the live eviction show. 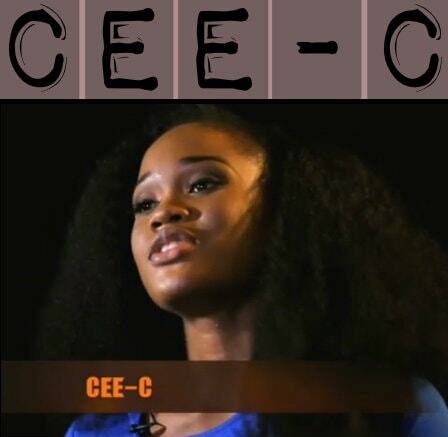 Cee-C considers herself to be eye candy and also mentally attractive and does not like judgemental people. She will miss her pillow and duvet whilst in the House. She is 25 and aspires to going to film school and becoming a producer. She came on the live stage rocking a maroon dress that accentuated her curves, she is a Company Secretary for a legal firm and just like Ifu Ennada, Cee-C too has a good game going for her after she became the second finalist to qualify for the second and final task to determine who becomes the head of House for week one.